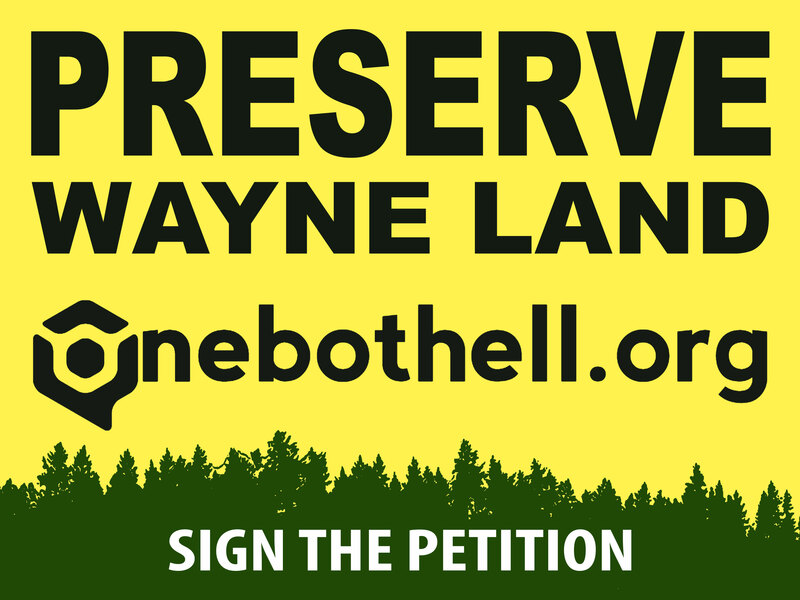 Our flyer was designed working with D & G Marketing, active supporters of saving greenspace in the Bothell area with Save Shelton View Forest. 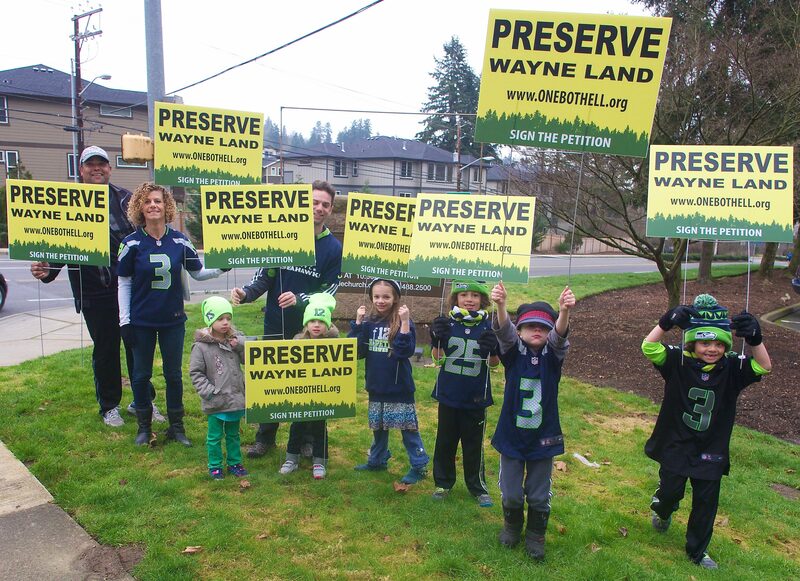 As you’ve been driving around the area, you may have also seen signs promoting the preservation of Wayne Golf Course land. We’ve even had emails from people asking how they can make their own signs, while others have gone on to make signs and stickers for their neighbors. 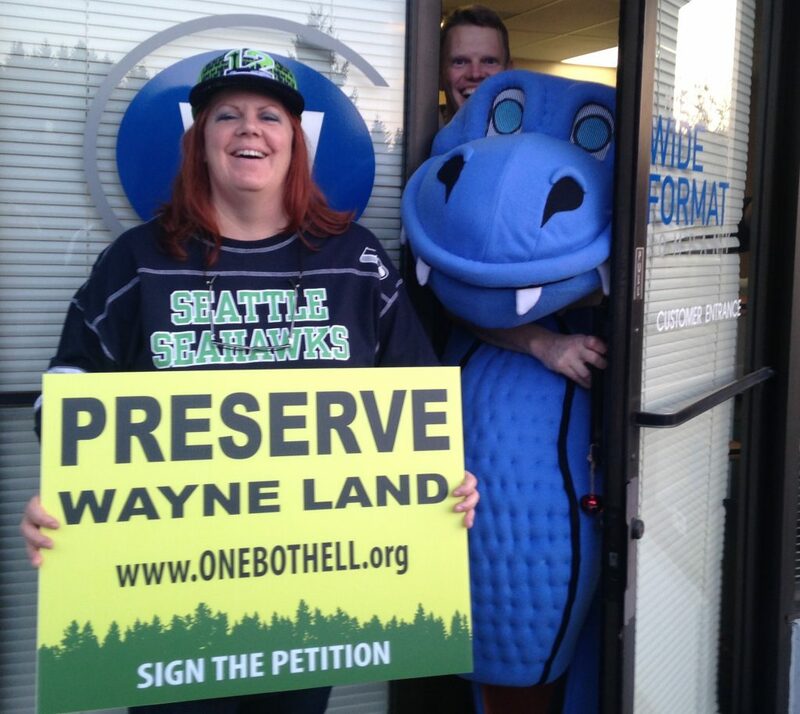 We had our signs printed by The Wide Format Company in Bellevue. It has been very helpful in meeting our short deadlines and informing our designs. If you’d like to get signs printed by The Wide Format Company, please mail gary@wideformatco.com. If you have time and enthusiasm to volunteer to help us with our outreach efforts, please use the contact us page. We have plenty of flyers that need distributing.